Check our compatibility guide if you want to know if Acrolinx for Sketch works with your local platform and with your Acrolinx platform. Acrolinx for Sketch works a little differently than other Acrolinx integrations. In Sketch, Acrolinx doesn't highlight issues in the text. When you click on the card title, it navigates and zooms in to the text layer in which you can find the issue. Acrolinx for Sketch comes with your Acrolinx for Mac package. By default, you only need to start Acrolinx once after the installation. After that, Acrolinx should start automatically when you log in to your computer. You can change this in the application preferences. Before you run the Acrolinx setup file, select Menu bar > Acrolinx > Quit Acrolinx to make sure that you have closed the outdated version. 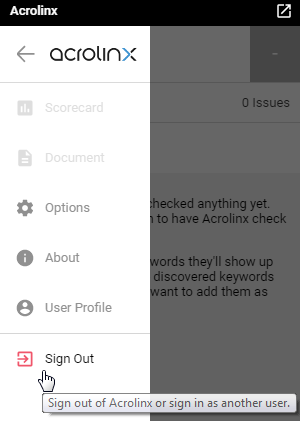 Acrolinx checks the content in all text layers.